Stress-free ways to make your new build house a home. 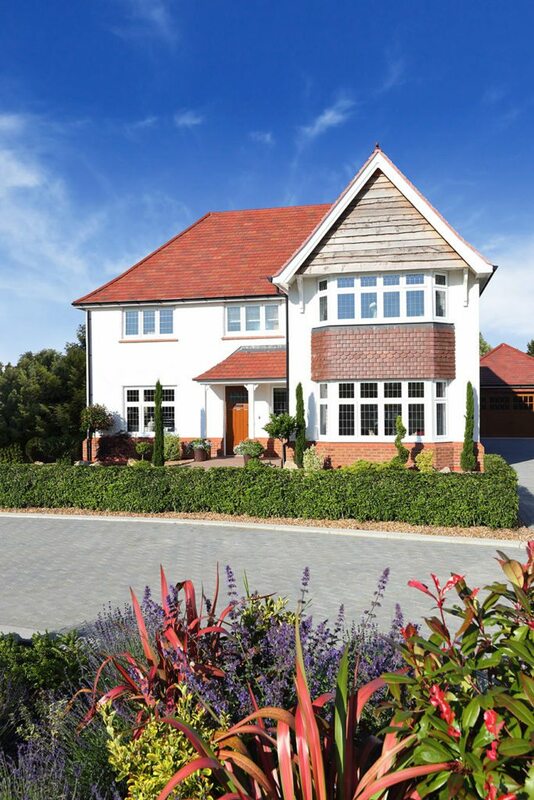 One of the many advantages of a new-build home is just that – everything’s new. Fixtures and fitting will be under guarantee, so you won’t need to put money aside for repair bills. Modern building methods mean greater energy efficiency too: according the NHBC Foundation, a new-build home will cost about half as much to heat as a Victorian home. With no onward chain to worry about, you’re also choosing less risk and more speed when you opt for a new-build. But all that newness can also mean that your home can feel a little bland. Fortunately, there are some simple ways to add your personal style. Try these ten tips to make your new-build property feel truly yours. 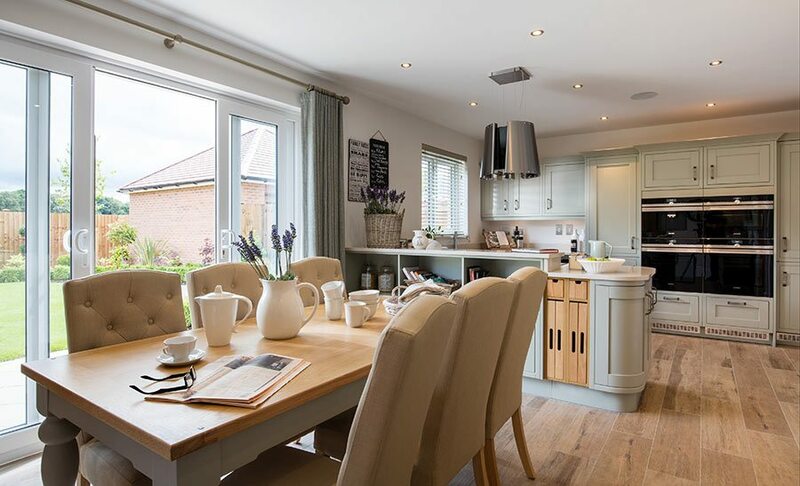 This Redrow Balmoral show home is in Woodford Garden Village in Cheshire, where prices start from £451,999 for a four-bedroom home. Buying off-plan has many benefits. As well as being able to pick your own plot, you may be able to choose some of your fixtures and fittings. What’s included as part of the deal will vary between the different house builders, so if personalisation is important to you, do your research before you start and make your choices known as soon as you can. There will come a point when it’ll be tough to make changes. “As a general rule, if the roof hasn’t been fitted yet there will be time to make your choices,” says Marie Morris of Elan Homes in the North. Window dressings, lighting and mirrors add that all-important personal touch to this new build by Elan Homes. It can feel overwhelming to make lots of design choices, especially after you’ve made the stressful commitment to buy a property. Fortunately, as a general rule, your house builder will be geared up to help. 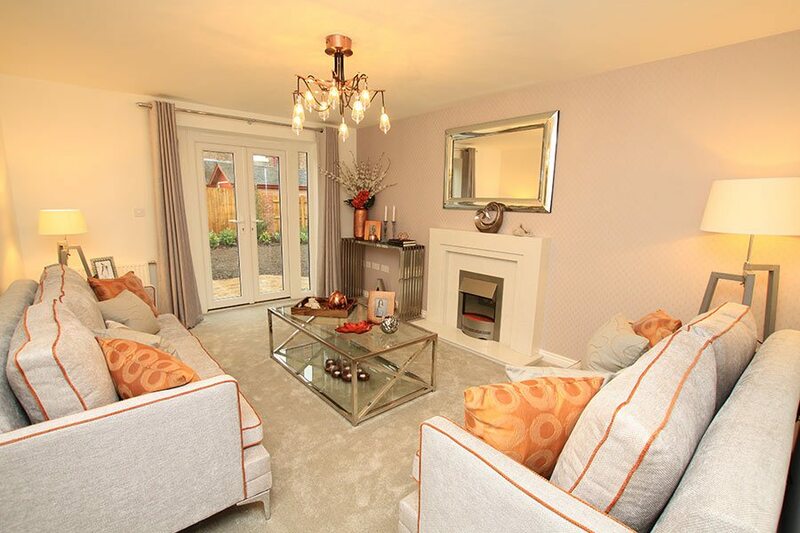 Redrow, for example, has dedicated a whole section of its website to interior design tips and styling advice. 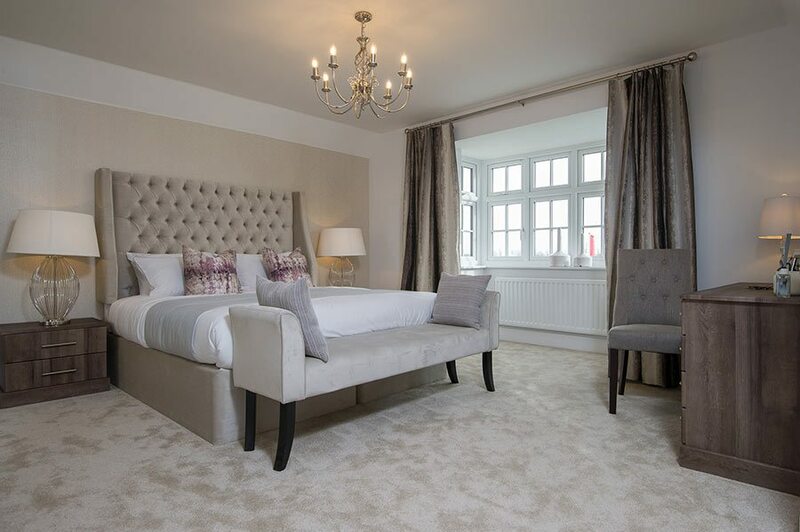 Be inspired by Redrow’s elegant master bedroom in its Balmoral show home at Alconbury Weald in Huntingdon, Cambridgeshire. You may be tempted to grab a paintbrush as soon as you move in, but the experts recommend waiting. Your new home will have absorbed water as it was being built and needs to dry out gradually. According to the NHBC, this takes around nine months, during which time you may notice minor cracks in walls, gaps in joinery and white deposits on the walls. These are all common signs of shrinkage. “They can normally be put right very easily with ordinary filler and a simple lick of paint during routine redecoration,” explains Emma. Leaving your windows open (or at least the vents within their frames) will help to ventilate the home and allow moisture to evaporate more naturally. Use this hiatus to save up money and ideas for your new space. You can visit show homes, visit neighbours’ houses, do online research and make notes on products and looks that will suit your home. Wait a while before you splash out on a fresh coat of paint, advises Emma Brindley at Redrow. Once your new home has dried out, it’s time to liven things up with a lick of paint. Bear in mind that standard paint won’t cut it in the bathroom, which will need specialist products to handle steam and condensation. There’s a wide range available at different price points. The general consensus is that darker colours are great for creating a warm and cosy space, but they absorb light rather than reflect it. In other words, they make the space look smaller. 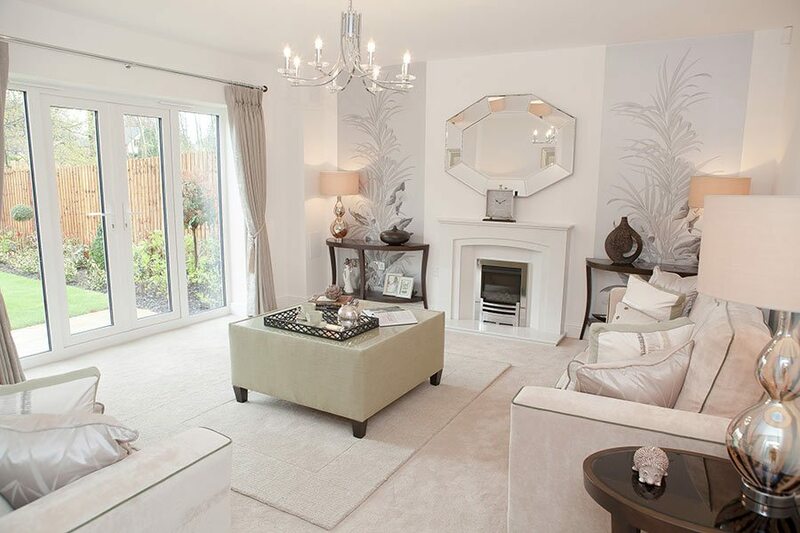 If your new-build home is on the small side, pick paler colours in key rooms to make them feel more spacious. This doesn’t mean you have to stick to one colour: a darker colour on woodwork and a paler colour on walls will open up the room. If you’re keen to express your creativity, cloakrooms and hallways are great for experimenting with a new style you may not have the confidence to try out in a bigger room. Richer hues in a hallway will also make the rooms off it seem bigger and brighter. Avoid a tunnel-like atmosphere by painting the end wall a darker shade than the side walls – this will make the end seem closer. If your new build has low ceilings, you can make them feel taller by using the same colour on the walls, woodwork and cornices or coving, and adding a complementary white on the ceiling. 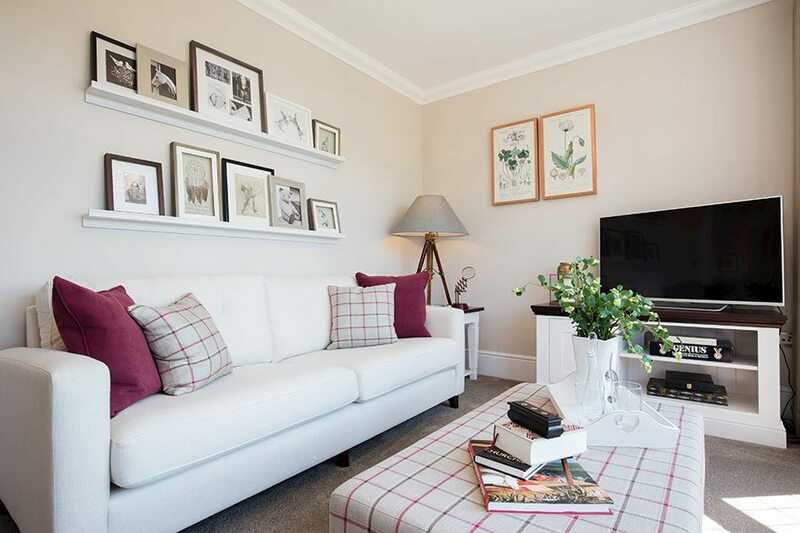 Another tried and trusted trick to creating a lofty feel is to graduate the colour gently by using progressively lighter shades from walls, to cornicing or coving to the ceiling. Find out which paint finishes to use where with our introductory guide. 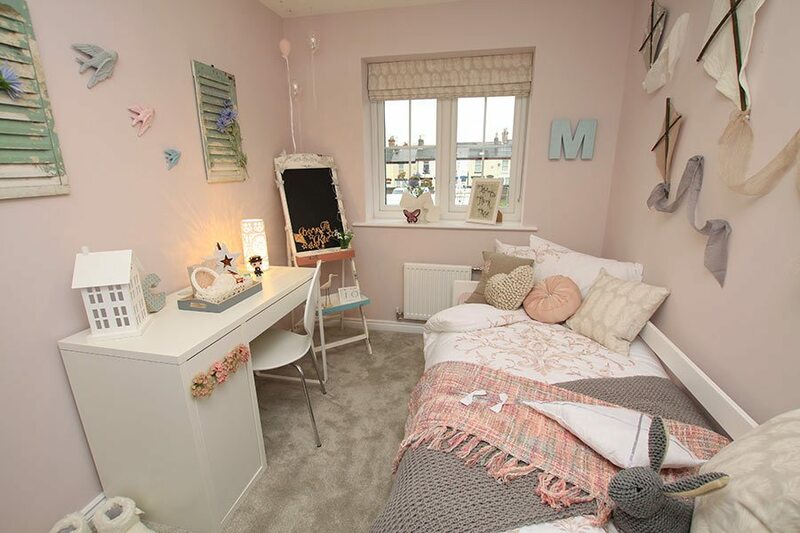 A splash of paint, like in the Elan show home at Aigburth Grange, can add fun and personality to a child’s bedroom. Recessed downlights provide practical light, but it’s wise not to rely on them alone. Layering light will add depth and atmosphere . “There are many lovely side lamps for the living room and bedrooms that can add softer lighting to create the right ambience, and to create interest in a room,” says Emma. “Consider a gorgeous worn brass or woven straw shade or pendant that will create unique patterns on the wall,” she suggests. Make the kitchen your own by hanging a pendant over a dining table or island unit to define the space. Floor lamps are another great way to add a touch of individuality. Elan’s show home lounge at Aigburth Grange, Liverpool, is a great example of how lighting can make a difference to the ambience of a home. Don’t despair if you didn’t get the chance to choose your floor. 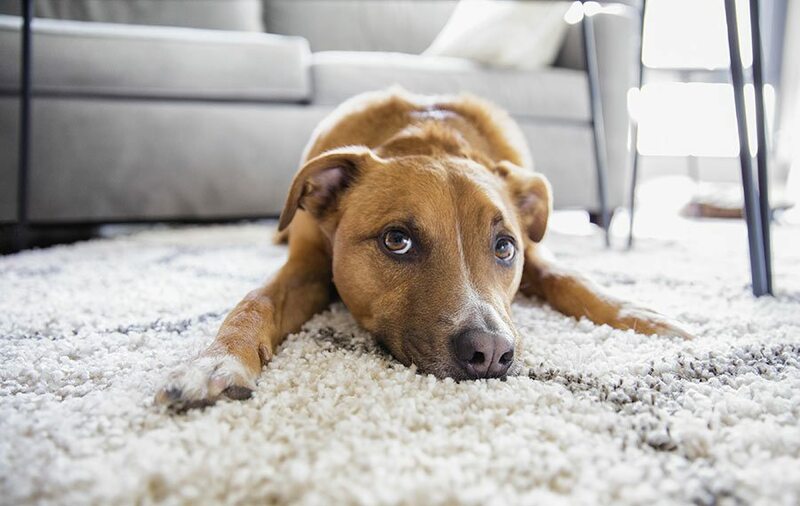 Rugs are an easy way to add warmth, colour, texture and personality to a space, and, if you have wood floors, they can also soften the acoustics. The general consensus is that you should choose the largest rug possible – a small rug will break up the space. 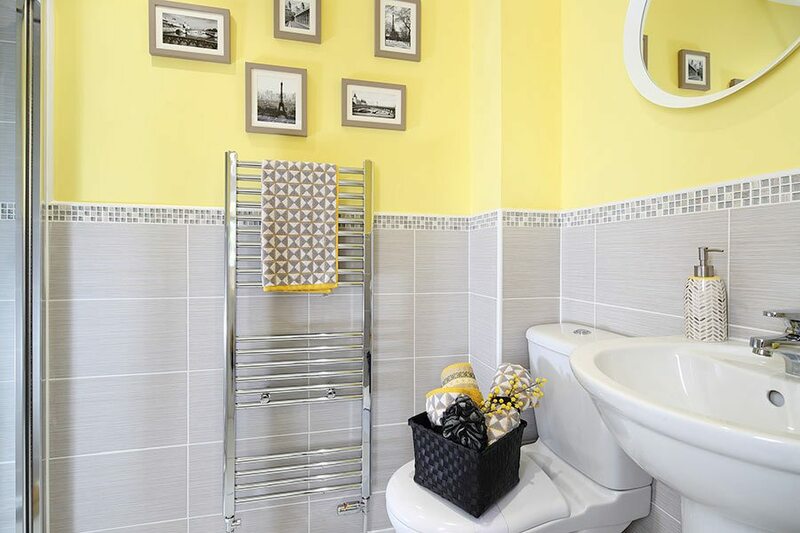 Introduce a splash of colour or pattern with towels, then coordinate them with the bath mat. Shop around for a toothbrush holder and soap dispenser – there are plenty of cheap but chic options available – and don’t forget a simple shower caddy to keep your products tidy. In the kitchen, a coordinating kettle and toaster can pack a colourful punch when paired with a neutral kitchen. Pretty tea towels don’t cost the earth but work wonders too. “Artwork or family photographs in different frame finishes can also create an individual look,” adds Marie. It you have open shelves like the kitchen below, carefully consider what you plan to store on them. Your new kitchen will feel more spacious if the shelves are neat and tidy, so it’s best to choose just a few special items to put on display. Alternatively, use open shelves to display your favourite kitchenware or to keep essentials close to hand. Either way, if you have a neutral kitchen, use the shelves to add a splash of colour. Fresh flowers instantly bring a room to life; choose the colour to complement your accessories for a polished look. 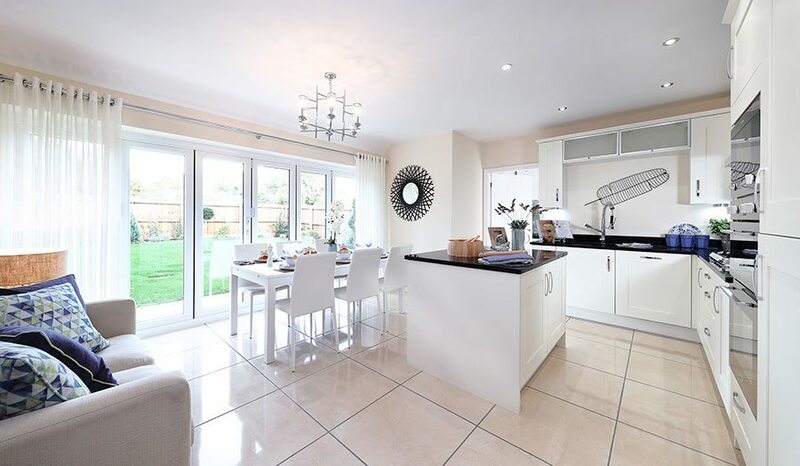 Open shelving, fresh flowers and wall art help to personalise this Redrow show home kitchen at Woodford Garden Village. If you’re struggling for storage space in the bathroom, swap out the mirror for a stylish but practical mirrored cabinet, and maximise wall space without sacrificing precious floor space by installing a floating shelf. You could even think about a freestanding storage unit or a bathroom ladder if you don’t mind keeping your toiletries on display. Many new-builds lack bedroom storage. If this is the case for you, invest in built-in wardrobes that are designed to the exact dimensions of your space. You can then install the right combination of shelves and rails for you. For more affordable ways to give your bathroom a fresh look, check out our experts’ advise. 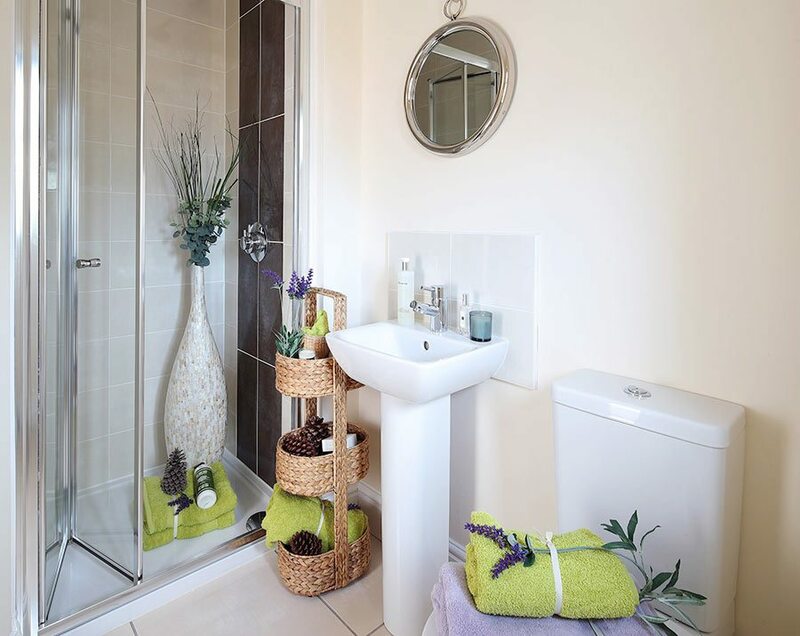 Boost storage in your small new-build bathroom by adding a mirrored cabinet. Costs can mount quickly when you’re dressing lots of windows. Fortunately, there are low-cost options to suit the budget of a new home owner. Ready-made blinds and curtains, available in-store or online in a range of fabrics and sizes, tend to be the cheapest option. These work well if your windows are a standard size, but if not, consider made-to-measure. They will cost more, but if you choose an online supplier, take the measurements and install the blinds or curtains yourself (cancelling out the need for a site visit and a fitter’s appointment), you can cut costs. Just follow the advice from one of the many online ‘how to’ guides found online. Shutters aren’t the cheapest of window coverings, but choosing hardwearing MDF will help you stay on budget. The added benefit of MDF is that it never needs repainting and it’s easy to clean. If you’re shopping for the bathroom, however, opt for plastic shutters. They’re 100 per cent waterproof and won’t deteriorate or rust in the moisture. The cheapest shutters tend to be those you can order online. However, you’ll need to measure and install them yourself. There are plenty of ‘how-to’ guides on the internet, but if you’re not experienced at DIY, invest on the services of a professional. Discover more ways to dress your kitchen windows. If you don’t like standard-issue doors, you could change them for more stylish models. A new door can make a whole room feel different. Or, if you tend to prop doors open, think about removing them completely to create a sense of more space. Do you know the value of your home? Get your free valuation here.